PCX acquires the TruView Xray System, designed specifically for counterfeit component detection. TruView® exceeds the requirements of all component authenticity verification standards, including IDEA STD-1010-A, MIL-STD-883C, CCAP-101, and AS5553. April 18, 2011 - PRLog -- PCX Inc. acquires the TruView Xray Inspection System designed by Creative Electron, Inc. PCX, Inc. Director or Quality and Warehouse Operations, Ed Dimmler, contributed in the early conceptualization of the ‘reel to reel’ Xray capability. The reel to reel capability provides a unique comparative analysis tool making this machine particularly effective in identifying anamolies. Creative Electron, Inc. developed the software enabling quality engineers to automatically inspect 100% of the components on the reel. The software has the ability to perform a detailed algorithm comparing every chip in the reel to each other for consistency. Any inconsistency in a particular chip is immediately flagged for more in depth inspection and analysis. The process eliminates doubt and operator error. 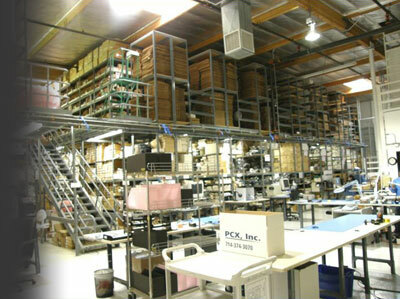 “PCX Inc. has developed a no-tolerance policy on counterfeit electronic components. Congruent to that policy is a requirement for the technical testing capabilities to identify suspect counterfeit material quickly and effectively. The TruView System is part and parcel, I would even say a central weapon, supporting our strategy to protect our clients against counterfeiters” said Gilles Aouizerat, CEO, PCX, Inc.
“We are proud of our added capabilities and will continue to add powerful detection tools to our arsenal of anti-counterfeiting-measures,” Aouizerat Added.